No to Turkey’s military intervention in Syria – Defend Rojava! But recently, and at least since the run up to Turkey’s June general election, President Erdogan has abruptly changed track and allowed himself to become embroiled in a reckless gamble that sees him playing with the country’s future. He has stood accused of putting the peace process on hold and even of terminating it for political gain. The consequences of such a move would be to reignite the conflict and this can only be utterly catastrophic for the country and its future generations. We share the fears expressed by the Kurds about Turkey’s repeated threats of military intervention across the border in Syria. The stated intention to establish a buffer zone really appears designed to destabilise the fledgling democracy in the regions of Rojava liberated by the Syrian Kurds rather than contribute towards a resolution of the crisis in Syria. In addition, Turkey has been highly ambiguous in its attitude to ISIS, with evidence that it is sheltering them and supplying weapons to ISIS fighters. The Turkish State has clearly been using ISIS to undermine the gains of the Kurds in places like Kobane. The opportunity for peace still exists and should not be squandered. President Erdogan can still facilitate it by showing true leadership but this involves vision and magnanimity. The possibility of securing a lasting peace would be a historic gain for Turkey, the Kurds and the entire Middle East region. In fact the whole world has a stake in seeing Turkey at peace. The leaders of Turkey need to recognise the importance of the choices that lie ahead: either grasp the chance for peace or reignite a conflict with no end in sight. The results of the Turkish general election gave hope for peace when the pro-Kurdish HDP made historic gains and broke through the 10% obstacle to achieve representation in the country’s parliament. The HDP fought the election on a clear and unambiguous platform of support for the peace talks between Turkey and the Kurds. The support that the party received was an endorsement of the peace process. 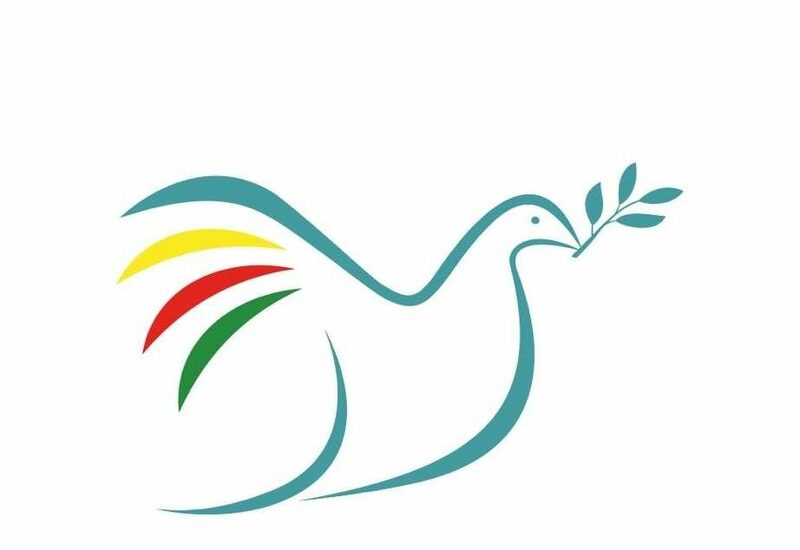 The party’s success inspires all those who want to see Turkey achieve a more democratic and pluralistic society founded on peace and reconciliation. The Kurds have been calling for the restarting of the peace process. We believe that it is time for Turkey to reciprocate and opt for peace over conflict. Noam Chomsky; John Berger, novelist; Derek Wall, International Coordinator of the Green Party of England and Wales; Dr Thomas Jeffrey Miley, Lecturer in Political Sociology , Cambridge University; Melanie Gingell, barrister, Doughty Street Chambers; Bronwen Jones, barrister, Mansfield Chambers; John Hunt, journalist and writer; Sean Hawkey, photojournalist and Green Party member; Dr Austin Reid, Consultant in international university development; Hywel Williams MP, House of Commons; Elfyn Llwyd, former MP, Plaid Cymru; Essa Moosa, Judge of the High Court of South Africa and Cape Town and Chair of the IPRI (International Peace and Reconciliation Commission); David Graeber, Prof of Anthropology at London School of Economics and author; Jonathan Bloch, author; Margaret Owen, human rights lawyer and director of the international NGO, Widows for Peace though Democracy; Dr Radha D’Souza, global justice scholar and democratic rights campaigner; Mike Mansfield QC, President of Haldane Society if Socialist Lawyers; Lord Rea, House of Lords, UK; Baroness Jenny Jones, House of Lords; Caroline Lucas MP, Green Party, Member of the House of Commons; Jean Lambert MEP; Lord Avebury; Dr Les Levidow, Senior Research Fellow, Open University; Bruce Kent, Vice-President, Pax Christi; Bill Bowring, Professor of Law, Birkbeck, University of London; Louise Christian, lawyer, Vice-President of the Haldane Society of Socialist Lawyers; Frances Webber, Vice-President of Haldane Society of Socialist Lawyers; Mary Davis, visiting professor at Royal Holloway University of London; Lindsey German, Convenor Stop the War Coalition; Trevor Rayne, Lecturer in Public Service Management and Economics; Dr Michael M.Gunter, Professor of Political Science, Tennesse Technical University; Dr Kariane Westrheim, Associate Professor University of Bergen, Norway; Nick Hildyard, policy adviser; Dr. Andy Higginbottom, Associate Professor, International Politics and Human Rights; Zaher Baher, Kurdistan Anarchists Forum (KAF); Yvo Fitzherbert, Istanbul-based journalist; Liz Davies, barrister, Vice-President Haldane Society of Socialist Lawyers; Catrin Lewis, barrister; Sarah Parker, human rights campaigner; Stephen Smellie, South Lanarkshire UNISON; James Kelman, novelist; Dr Johanna Riha, Epidemiologist; Bert Schouwenburg, International Officer, GMB (personal capacity); Dr Zeynep Kurban, Physicist at Imperial College London, Human rights activist; Rosa Salih, Kurdish Society, Scotland; Isabel Kaser, PhD candidate SOAS; Amin Husain, Tidal: Occupy Theory, Occupy Strategy magazine (tidalmag.org <http://tidalmag.org/> ) & Direct Action Front for Palestine; John Holloway, Professor of Sociology at the Instituto de Ciencias Sociales y Humanidades in the Benemérita Universidad Autónoma de Puebla, Mexico; Marina Sitrin, Post-doctoral Fellow at the CUNY Graduate Center. Author of “Everyday Revolutions: Horizontalism and Autonomy in Argentina; National Lawyers Guild, US; Gayatri Chakravorty Spivak, University Professor in the Humanities, Columbia University, US; Silvia Federici, scholar, author and activist, prof emerita and Teaching Fellow at Hofstra University; George Caffentzis, political philosopher and autonomist Marxist, founder of the Midnight Notes Collective; Andrew Ross, cultural studies specialist, directs American Studies Programme at New York University; Andreas Gavriliedis, Greek-Kurdish Solidarity; George Eugeniou, founder and director of Teatro Technis; Eric Lee, LabourStart (personal capacity); Prof Eleni Palazidou, Consultant Psychiatrist; Jean Lambert MEP; Kate Osamor MP, House of Commons; David Morgan, journalist; Dr Felix Padel, visiting professor, JNU, Delhi; Dr Janroj Yilmaz Keles, Research Fellow, Middlesex University Eoin Slattery, actor; Peter Tatchell, human rights campaigner; Pete Radcliff, Secretary of Beeston North Labour Party; Cynthia Cockburn, author and activist; Carol Mann Ph.D Women In War, Think Tank for Gender and Armed Conflict; Khatchatur I. Pilikian, Prof. of Music & Art; Paloma Polo, visual artist and independent researcher; Batu Talu, independent researcher; Sheila Mosley, Co-Chair: International Support Kurds in Syria – SKS; Tim Cooper, Nottingham Unite Community treasurer and Nottingham Kurdish Solidarity Campaign; Kadim Lacin, Journalist; Penny Papadopoulou, Journalist; Tim Gopsill, editor of Free Press (CPF); Houzan Mahmoud, Kurdish femininist activist; Maryam Ashrafi, photojournalist; Mithat Ishakoglu, PhD at the University of Exeter; Tony Fisher, Law Society Human Rights committee member; Bob Rossi, US labour and solidarity activist; Dr Najde Al-Ali, professor of Gender Studies, London Middle East Institute, SOAS; Carne Ross, Executive Director, Independent Diplomat, US; Joost Jongerden, Assistant Professor, Wageningen University, the Netherlands; Dr Jennifer Langer, Director Exiled Writers Ink; Christine Benson, solicitor; Melanie Sirinathsingh, Peace in Kurdistan Campaign; Estella Schmid, Peace in Kurdistan Campaign.